A mysterious woman moves into the empty cottage on property belonging to Simon Elliot. She has with her a set of old plates depicting the verses of a ballad, and she spends a lot of time immersing herself in the story told by the plates. The thing is, this cottage was last occupied by Jinny Lauder, and the plates were hers. And Jinny Lauder was Sim Eliot’s lover, the woman he was tried for murdering. So, who is this woman? Could she be Jinny’s daughter? Whoever she is, she seems half off her head, and she is clearly plotting revenge against Sim Elliot. But the person she meets is Sim’s son, home in the Borderlands to introduce his father to his fiancée, Jo. David finds this wild girl, who first identifies herself as Mary, fascinating, and he is just as interested in his father’s guilt or innocence as Mary is. In fact, he despises his father for betraying his mother. 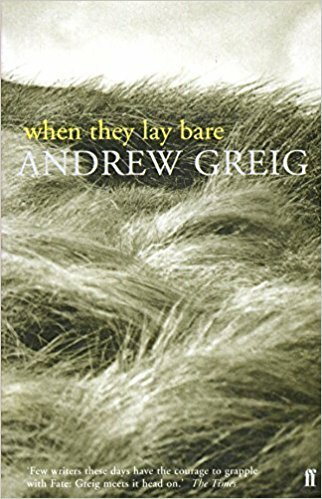 Greig used the conceit of retelling an ancient ballad in Fair Helen, an idea I really admired. Here again, he brings in an old ballad and the feuding families of the Borderlands, but I don’t think it works as well. In particular, the focus on the plates becomes tedious. After a while, each time the girl went back to look at the plates, I sighed. Still, Greig’s writing is gorgeous, and his settings are evocative. 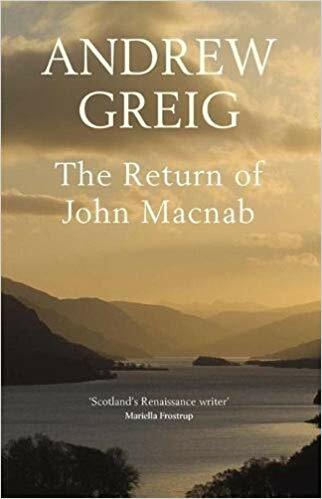 Greig examines the concept of fate in this novel. Are the Elliots and Lauders doomed to pursue their feud? I was completely entranced by Fair Helen from the first moments of reading it. It’s based on a 16th century ballad, “Fair Helen of Kirkconnel Lea.” Since one of my interests (although sadly not pursued for years) is early ballads of Great Britain, Ireland, and Appalachia, this is a good fit for me. But Adam is more concerned about the disposition of his love affair. He has fallen madly in love with Helen Irvine, a beautiful and vivacious girl. But the Irvines and the Flemings have been feuding for years. (If this sounds familiar in a different way, it’s supposed to.) Helen’s parents want her to marry Robert Bell, a man with more prospects than a member of an unmade family. We know from the beginning of the novel that none of this will end well, for we have the text of the ballad before us. And Harry in his old age is telling this story of the most important event in his life and the two people he loved most. For Helen is his cousin, and the two of them were very close as children. The situation is complicated by the politics of the Borderlands. Harry finds himself summoned by Walter Scott of Buccleuch, a lord who frankly terrifies him (a very different Wat Scott of Buccleuch than the one depicted by Dorothy Dunnet), and is forced to spy on his friends. It becomes clear to him that there have been attempts at murder, if not of Adam, but who is behind them and why? I had aimed to set down plainly only what I witnessed concerning the events at Kirkconnel, to correct the folk haivers and bring some understanding. Yet already I find footnotes, asides and addenda have begun to run wild down the margins and among the lines. I like to think of them as bright wildflowers that border and run through the acres of turnip and kale by which we feed ourselves. So, Greig is having some fun with us and in more ways than one, although this is in general not a light-hearted novel. It is lovely, though, full of yearning and regret, with a backbone of history for those who are interested. In my recurring theme of quality printing, I have to say that this is the first modern book with properly bound signatures that I’ve seen in a long while, as opposed to the signatures being hacked off and glued. That’s great, and it means my book will stay together longer. However, the end papers were pasted down carelessly. They have creases, and some of the pages of the book stick out beyond the cover. So, Quercus Books, one big step forward and a few small ones back.